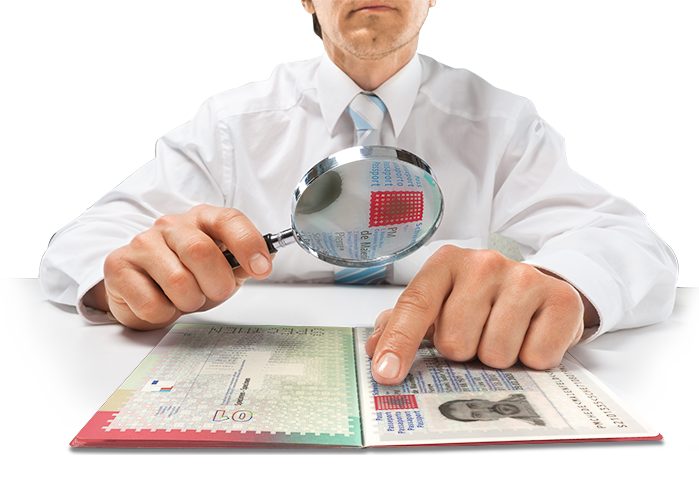 Basic theory underlying ID documents, security features, counterfeit, forged ID documents and look-a-like fraud. 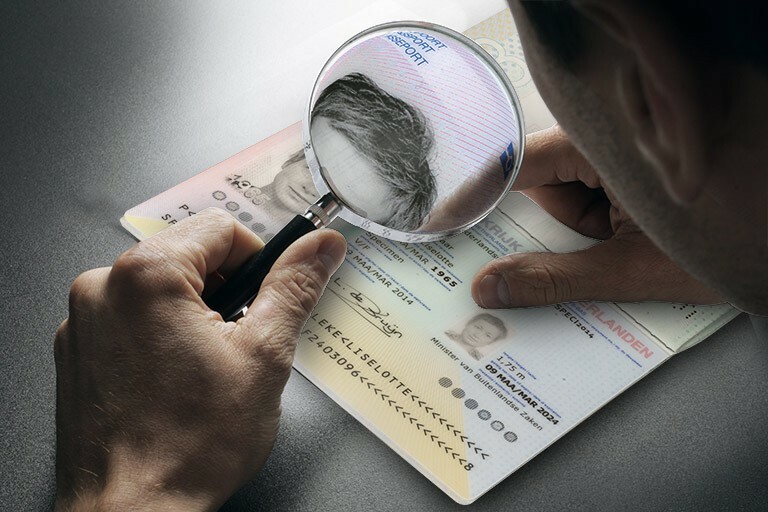 Building a profound knowledge of ID documents through in-depth training on laminates, security inks, personalisation techniques and additional security features. 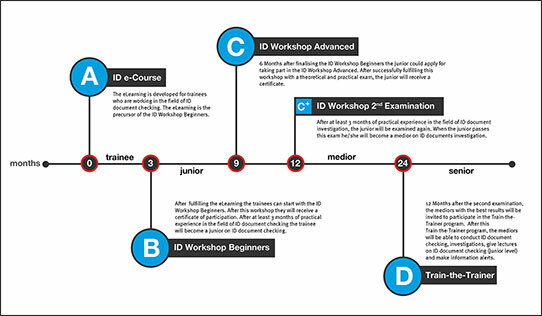 ID Workshop customized to your needs. Learn how to check (digital) copies of ID documents and get on-the-job training. During the workshops, participants learn how to recognise and inspect security features. The course material is based on everyday situations, and contains many practical tips. 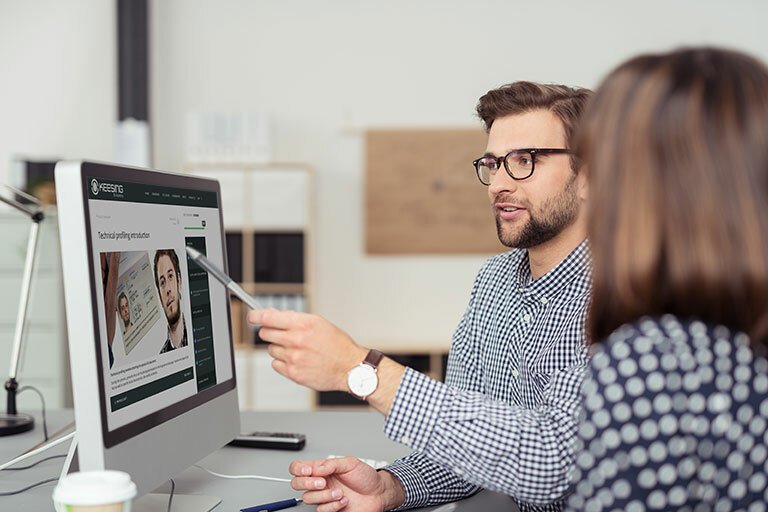 These courses also cover profiling techniques, which are used to assess whether the person presenting a document is also its legal holder. During this part of the workshop, participants learn how to work with photographs and how to ask the document holder relevant questions. The workshops teach participants the knowledge and skills needed to conduct an ID check and recognize genuine, forged and counterfeit documents. The skills learned during the workshops will also enable participants to establish - in a customer-friendly manner - whether the person presenting the document is its legal holder. All participants receive an abridged reference manual and a certificate of participation. The workshops are given by the experienced document specialists of the ID Academy. Our experienced trainers are experts in the investigation of document fraud. These trainers share their knowledge by giving ID document authentication workshops all over the world. Teaching participants the basic theory and skills needed to recognize counterfeits, forgeries and check ID documents. Which ID Workshops are you interested in? 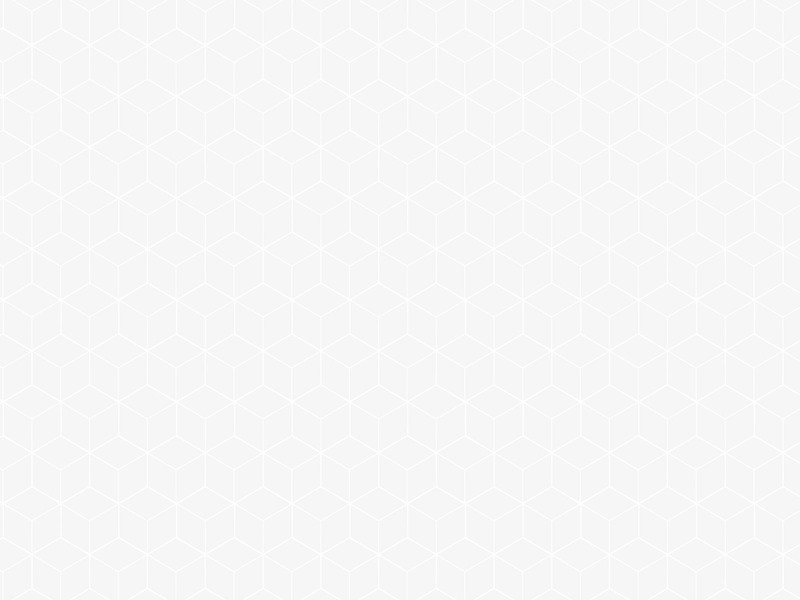 BeginnersAdvancedA-la-CarteScans and copies?